Check out more from Jacqueline vonSchleppenbach in this article from Verily! 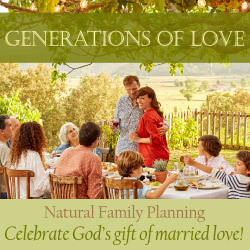 Catholics have a well of spiritual insight to dip into to prepare for the birth of a child. On today’s episode, you’ll hear from Mary Haseltine, author of Made for This: The Catholic Mom’s Guide to Birth, Haley Stewart (from the popular blog Carrots for Michaelmas) and birth stories from a few of Sara’s friends, including a baby who was born in the car in the driveway of the hospital: good catch, dad!